You’d think that with all the years I’ve spent collecting strange and spooky stuff, I’d have more than my fair share of haunted school desks. Nope. That’s why I had to jump on this beauty when I saw it, especially since it comes from not one but two allegedly haunted schools! 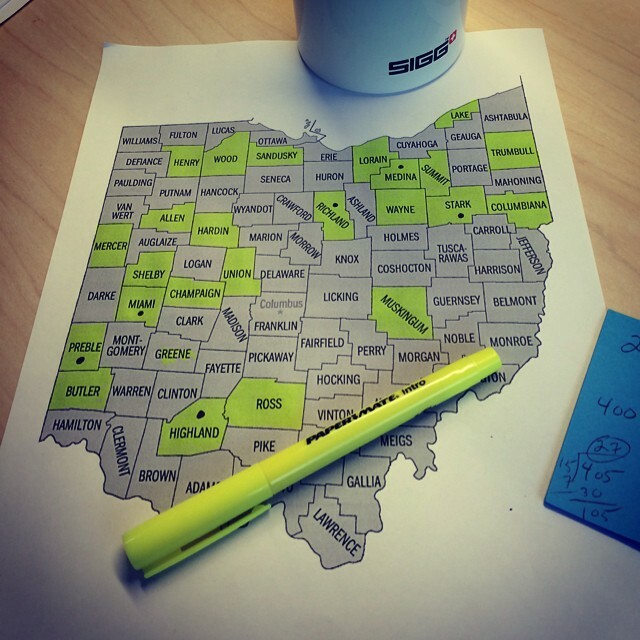 You see, recently The Ghosts Of Ohio and I were spending the night locked inside South Main School in Bowling Green, Ohio on a private ghost hunt. That’s where I found the desk. Imagine my surprise to find that the desk had recently been moved to the school from another allegedly haunted elementary school, the Lyme School in East Bellevue, Ohio. At that point, I knew it had to be mine! At present time, the desk is sitting quietly amongst all my other strange and spooky museum items. No paranormal activity to report yet, but it’s still early and I’ve yet to run any experiments on it (or even simply leave an EMF on it). But time will tell. I’ll keep everyone posted if strange stuff starts happening. And if you’re ever attending a soirée at Willis Woods, just ask and I’ll be more than happy to show you the haunted desk. I may even let you sit in it…if you dare! Video interview/segment that accompanied the July 27th, 2015 Columbus Dispatch article, featuring me and parts of the Strange & Spooky Museum. Enjoy! 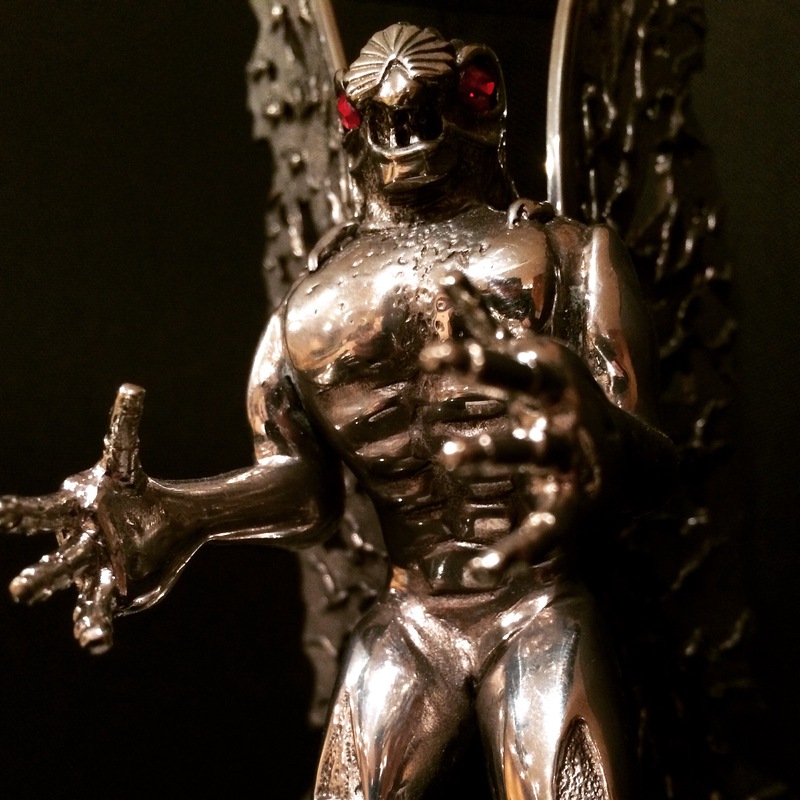 Created by local artist Robert “Bob” Roach, this is a limited edition scaled replica of his Mothman statue that has been standing guard over the streets of Point Pleasant, West Virginia since 2003. And it’s pretty much an exact replica, right down to the plaque affixed to the base. This particular piece once resided in the private collection of Ohio Bigfoot researcher, Joedy Cook, which gives it an even more interesting back story. 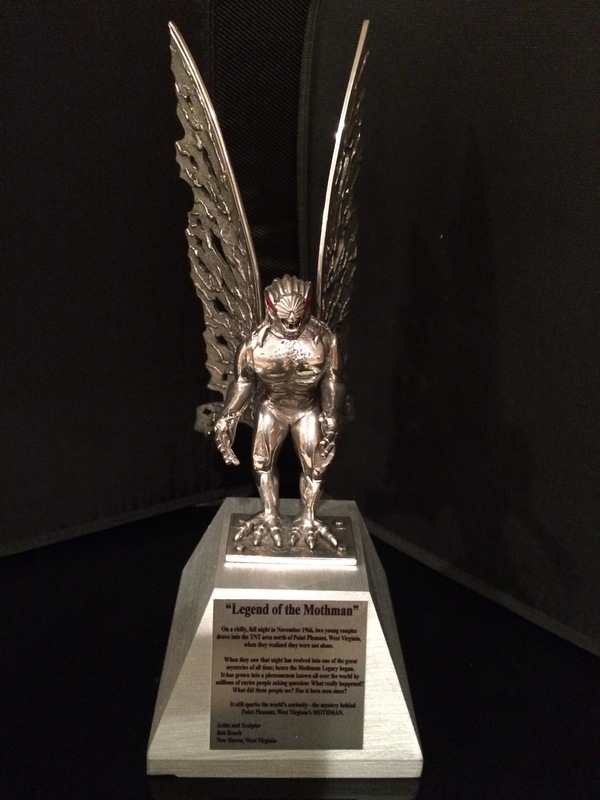 You can check out more Mothman-related memorabilia, as well as that of other creatures, in the Bizarre Beasts wing of the Strange & Spooky Museum. If you want to take a peek at all the weirdness The Strange & Spooky Museum has to offer, start your journey here. 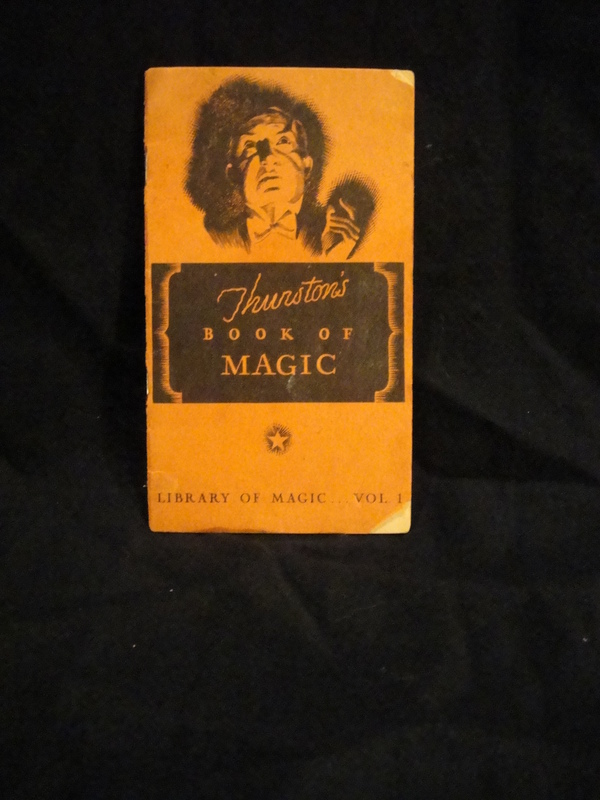 16-page booklet from the 1930s that is filled with magic tricks, supposedly ones performed (or at least endorsed by) Columbus-born magician, Howard Thurston. All the tricks in this booklet have been given bizarre names, my favorites being “The Healing Tongue” and “Futile Blows”. The “Library of Magic” listed on the cover was the name given to all 6 “volumes” (ie: booklets) in the series. As you can see, this was Volume 1. Booklet was a giveaway from Swift and Company, who manufactured baking products like shortening. So there’s a great 2-page ad for Swift’s Silverleaf Lard that asks “what magic can you do with pastry-tested shortening” and then encourages readers to “eat more baked goods” because they are “wholesome, digestible, delicious.” Ain’t that the truth! You can check out some other pieces of Howard Thurston memorabilia in the Historical Memorabilia wing of the Strange and Spooky Museum. Go on, click away! For the longest time, I fought Instagram. I had no interest in joining, simply because I didn’t see the point. To be honest, the whole thing felt a little silly and, well, pompous. Sure, people seem to enjoy it, but I’ve never been the kind of guy who felt the need to upload pics of his turkey on rye with the message “getting ready for lunch #boyamihungry #luvturkey #ireallythinkpeoplecareaboutwhatieatforlunch”. But the more I looked at Instagram, the more it seemed to be something I could use to sort of give everyone a quick glimpse inside my strange and spooky world. I know you’re going to find this hard to believe, but not everything in my life is blog worthy. Shocking, but true! And then there was this strange little picture, which is related to my latest paranormal project. I uploaded it to Instagram and it promptly blew up, with everyone wondering aloud what the heck it meant. What do you think it means? Anyway, If you’d like to follow along, you can find me lurking on Instagram here. I’m only getting started, but there’s already some strange and spooky images on there. Just don’t expect to see any pics of turkey sandwiches…unless they look really, really weird. You can also access my Instagram site by clicking on the photo in the “Latest Instagram Upload” feed, which is over on the bottom left side of the very page you’re reading now! 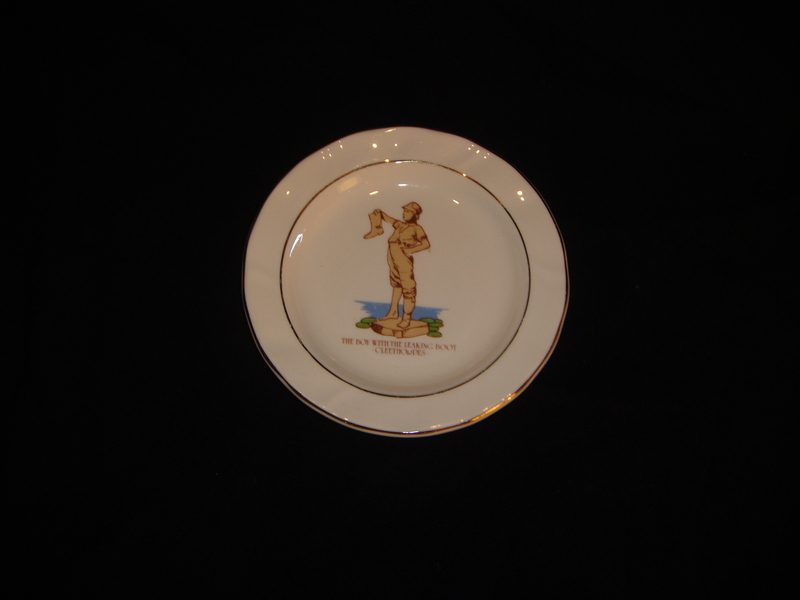 Nice little ceramic plate depicting the Cleethorpes, England statue. No date or other markings on the back of the plate. Personally, the Cleethorpes statue is one of my favorite versions of the statue. For one, Cleethorpes has really embraced their Boy and have chosen to put his image on a wide variety of merchandise. So of course, that’s a dream come true for freakish collectors like me! I also like that this particular statue is unique in that its name never varies: it’s always referred to as the “boy with the leaking boot”. Most of the other statues across the world drop the “leaking” bit. Finally, I love the fact that this statue is in England, so it really throws a wrench into the theories of those still clinging to the idea that the original version was created because during the Civil War, a boy once carried water inside his boot to dying soldiers on the battlefield. Check out an assortment of other Boy with the Boot memorabilia, leaking and otherwise, in the Boy with the Boot section of the Strange and Spooky Museum. OK, hands down. There’s no need to take a vote. These are, by far the weirdest “souvenir” currently residing in my Strange & Spooky Museum. There’s no date on the shakers or the box, but they look pretty old. 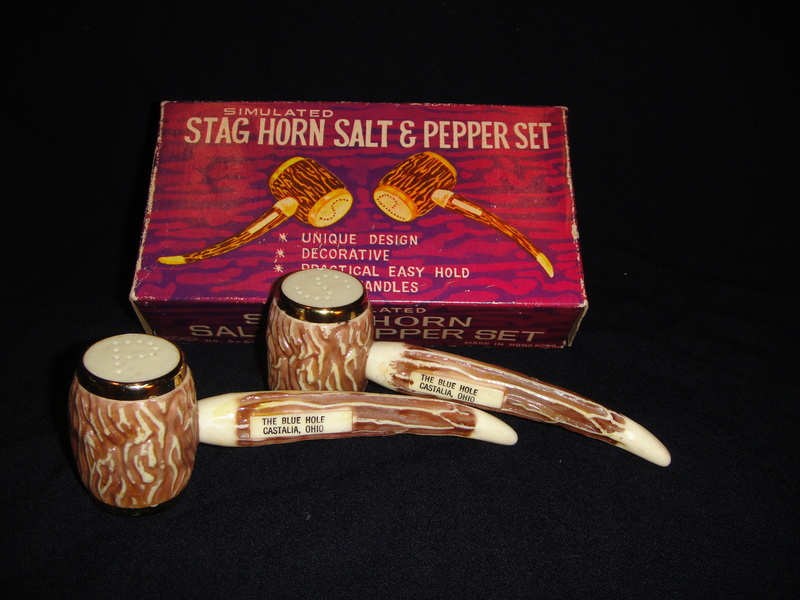 I tried doing some research to see when simulated stag horn salt and pepper shakers were in vogue, but came up empty. Doesn’t appear that salt and pepper shakers made from real stag horns were ever at the top of everyone’s wish list, either (you’re shocked, right?). Despite that, someone felt the need to create these for the Blue Hole gift shop. If you’ve ever seen a set like this or, better yet, own some yourself, drop me a note in the comments section below. If for no other reason than to let me know that I’m not alone in thinking these things are bad a**. There’s more Blue Hole memorabilia, as well as other bizarre objects and artifacts, waiting for you in the Roadside Oddities wing of The Strange & Spooky Museum. Go check them out! This magnificent, albeit crudely painted, metal statue of the Boy with the Boot, was a gift from my wife. 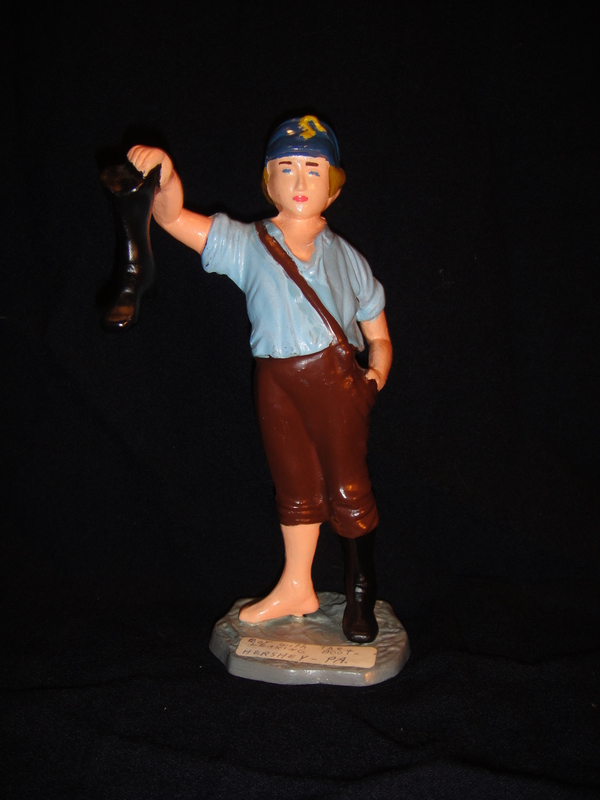 The sticker on the base of the statue reads: “Boy with the leaking boot – Hershey – PA”. While the sticker is clearly not original, it does appear as though whoever painted the statue used the Hershey, PA version as a model. I say this because, to date, the Hershey statue is the only one I’ve found that has the boy’s shirt painted blue. Check out an assortment of other Boy with the Boot memorabilia in the Boy with the Boot section of the Strange and Spooky Museum. 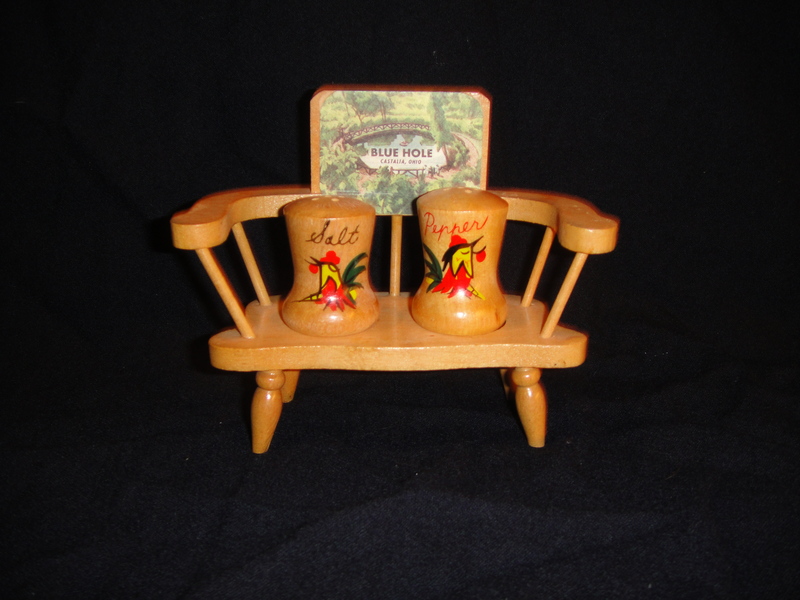 This was clearly a souvenir from the Blue Hole, but for the life of me, I don’t get the connection between deep, blue water and seasonings adorned with roosters that can sit on a park bench together. But then again, that’s what makes this piece so cool! It’s a perfect example of how, back in the day, roadside attractions would throw their logo on just about anything and sell them as souvenirs. So how about you? Ever been to the Blue Hole? Better yet, ever seasoned your food with official Blue Hole Salt & Pepper Shakers? If you have, let me know about it in the comments section below! 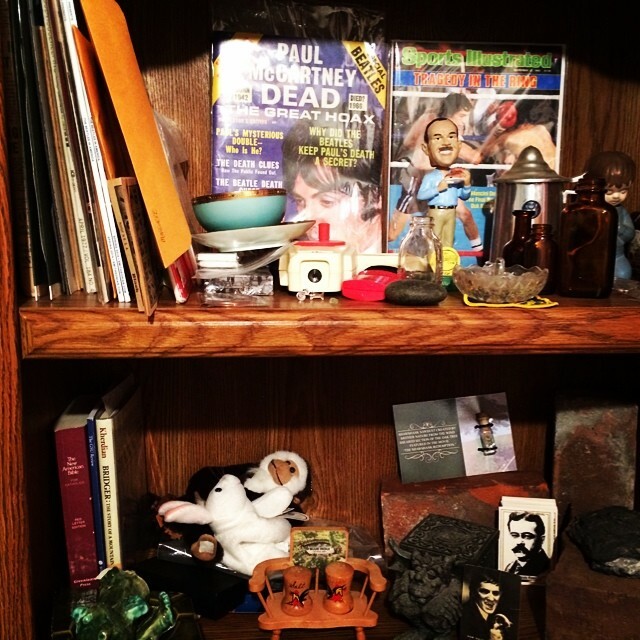 To see more Blue Hole souvenirs, as well as an assortment of other odd memorabilia, check out the Roadside Oddities wing of my Strange & Spooky Museum! A gift from Ben Gillig and his family, this little gem is one of the stranger pieces I’m come across recently. It’s a tiny papoose attached to a piece of thin cardboard. There’s also a small paper shipping label of sorts hanging off of it which reads “Greetings from”, after which it has been stamped “Blue Hole, Castalia, Ohio”. And speaking of stamps, the shipping label also has a spot marked “stamp”, although I really don’t think you could just pop this thing into your mailbox and they would ship it for you. But who knows? I’ve done a little bit of research and have yet to find any connection between the Blue Hole and Native Americans…or papooses, for that matter. In fact, of all the Blue Hole memorabilia I’ve collected (and seen) over the years, this is the only one with a Native American theme. The piece doesn’t have a date on it, but it looks pretty old. So maybe back in the day, people exchanged tiny papooses as a way of saying “sorry I haven’t written”. Finally, as much as I adore this piece, I don’t feel like I can trust it: it refuses to look me in the eye. 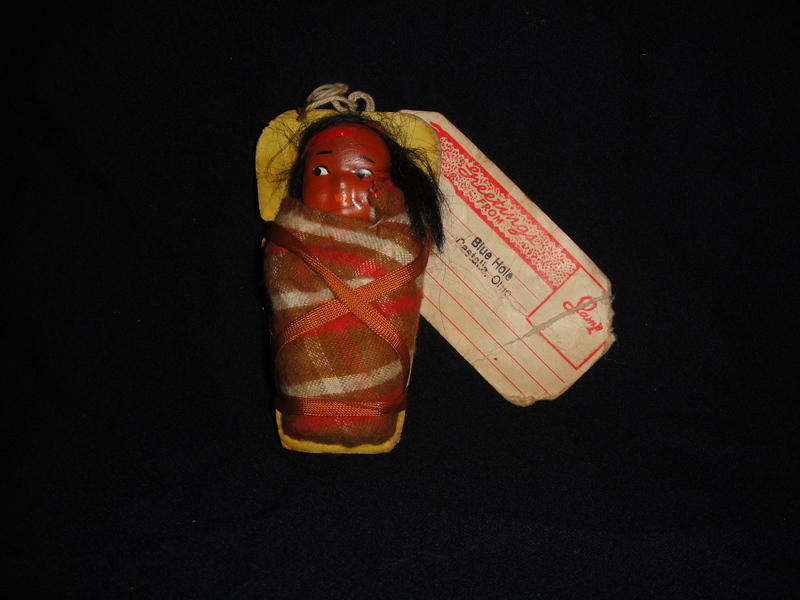 To see the Blue Hole Papoose in its new home at the Strange and Spooky Museum, visit the Roadside Oddities page.